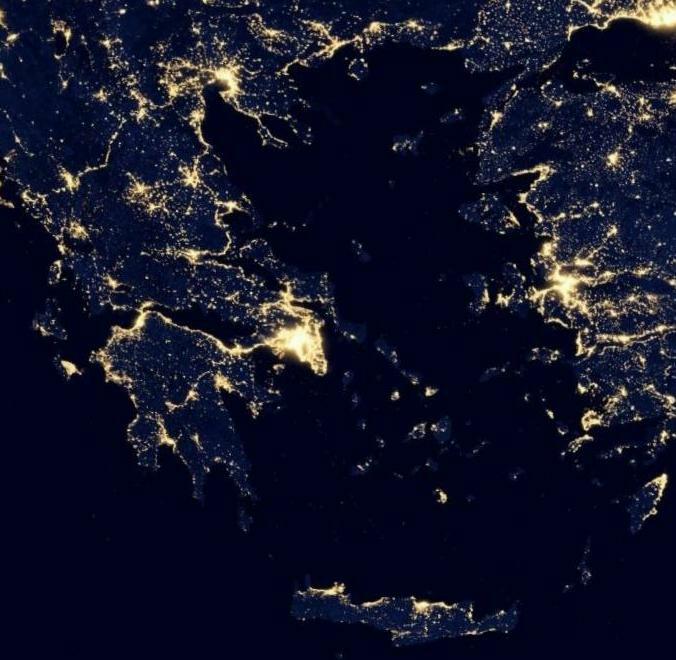 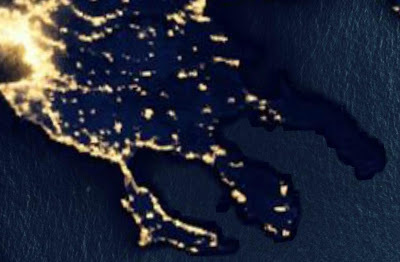 These photos from Google Earth begin by showing Greece and Western Turkey at night, with Athens being the brightest with the most use of electric light. The second focuses more on Northern Greece, with Thessaloniki as its brightest area. 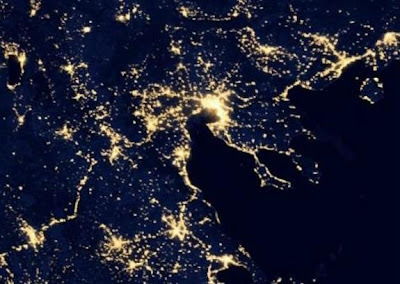 The last focuses more on Mount Athos, which is the completely dark first of the three peninsulas shown.